As we all scramble to do 5 days worth of work in 4…I understand that whipping up dinner might be harder than usual. Heck…if you are like me, you are even spending some of those 4 nights in a hotel room! So for the few nights you have at home this week, I wanted to share with you a great salad that one of my girlfriends shared with me. My friend Sarah is the friend that is always thinking of others…sending short notes on Facebook, a brief text here or there, or a hand-written card just to say, “I’m thinking of you”. She is the girl that everyone calls, “Mom” (thank goodness I am not the ONLY one with that nickname)…and the girl who will listen to you…cry with you…and laugh with you. Finally, no matter the circumstance, she is the friend who will always remind you to trust the Lord with all of your heart. Thank you Sarah…for being one of my friends and for pointing me in the right direction when I need it most. 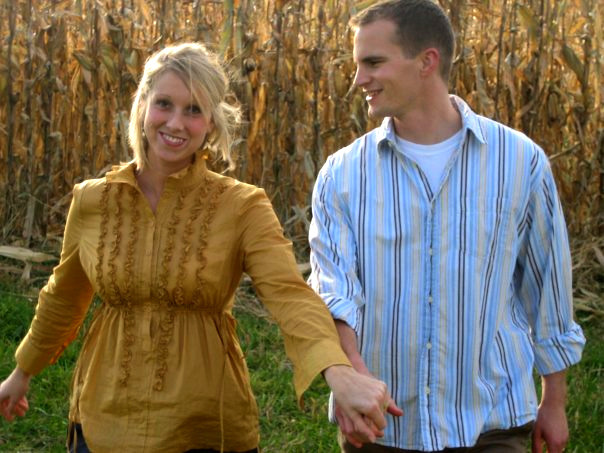 Below is my favorite picture of Sarah and her husband Matt! Thank you for sharing a new recipe with us on our July Girls Cooking Night, Sarah! Divide spinach among bowls. Top with peppers, cucumber, and cheese. 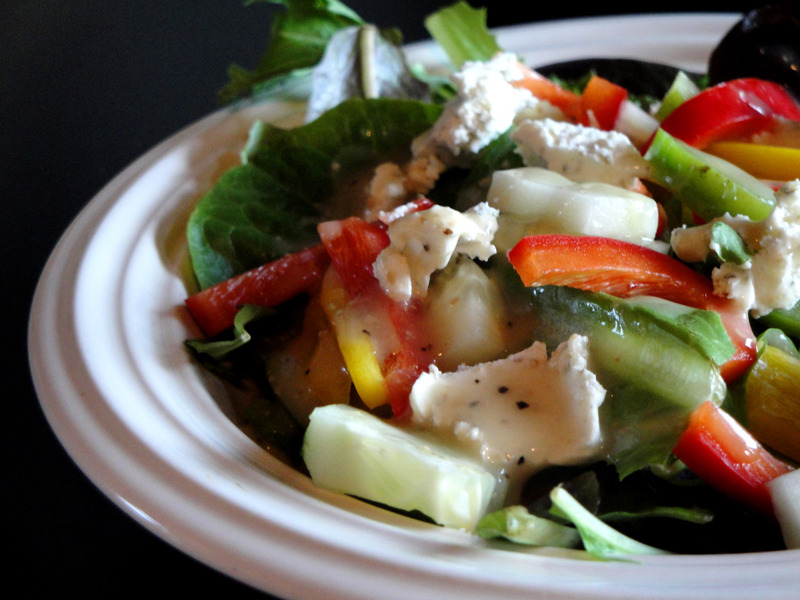 Finish with Caesar Vinaigrette Dressing!